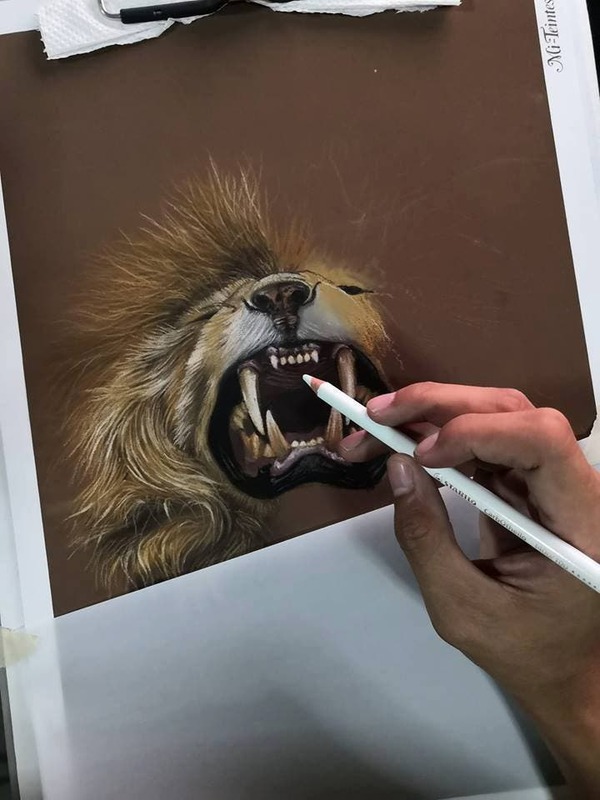 The post LOOK: This Artist Creates Dramatic Animal Portraits with STABILO CarbOthello Pencils appeared first on When In Manila. Want to create stunning chalk-pastel artwork? STABILO CarbOthello chalk-pastel pencils are available in 60 gorgeous color shades that can be dry-blended or smudged with your fingertips or a blending stump, so you can create various artistic effects. 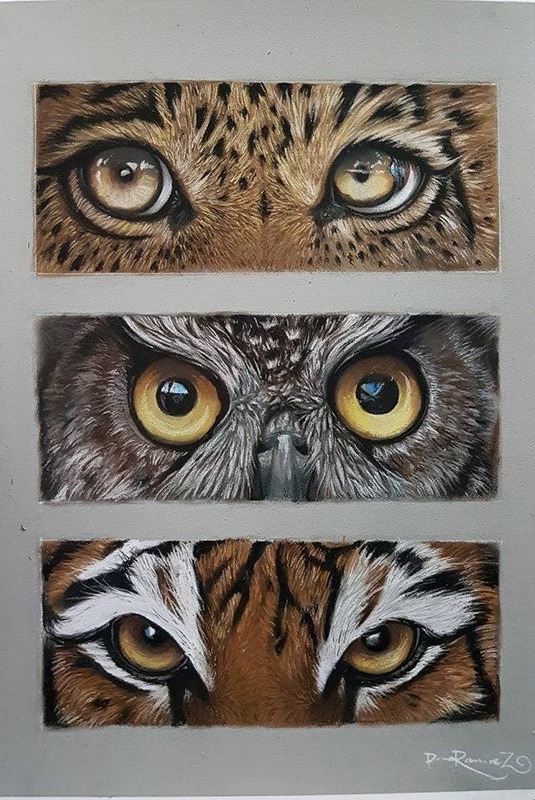 23-year-old Dave Ramirez from Las Pinas shows us some of his stunning animal artwork done with STABILO CarbOthello pastel pencilson Canson Mi-Tientes Paper. As you can see, the results are very dramatic when used on dark backgrounds and delicate papers. You can use the white pencil to lighten or highlight certain areas or outlines, and you can work the pigments with brush and water while maintaining the contours since they are partially aquarellable. These premium chalk-pastels have high pigmentation with excellent light-fastness. For superior results, the finished artwork can be treated with a fixative. He adds: “It’s fun to use CarbOthellos on wildlife art, especially when working on fur, hair and other details, which will require more time when using other mediums like colored pencils.” Needless to say, Dave loves animals, in general, which is why he decided to try the CarbOthellos on animals. 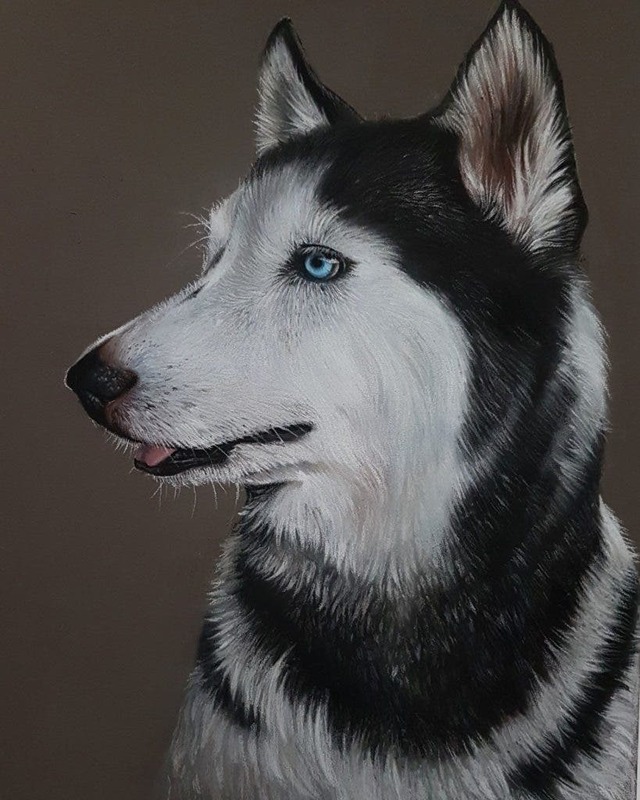 This Siberian Husky portrait is actually his dog Mikasa, who sadly passed away last year.